Good exploration of objects in the Science museum. Similar in style to Neil MacGregor's History of the world in 100 objects, which examined artefacts in the British museum, this is equally entertaining. Led by the ever listenable Bill Bryson, these examine and explain objects in the Science museum. Shame there are currently only five episodes - more please audible!! 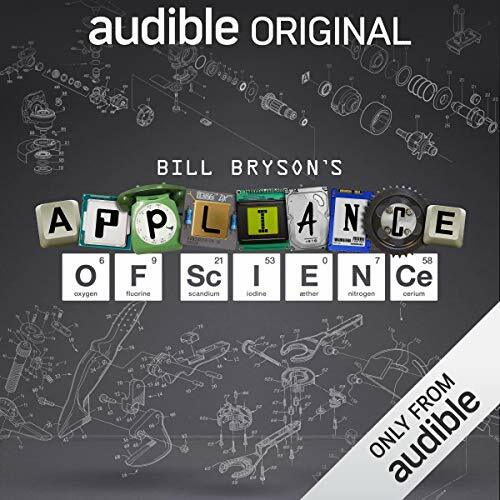 I'm enjoying the human stories and nuggets of information about scientific discoveries curated by the science museum in London and Bill Bryson, delivered by Bill Bryson in his unmistakable and brilliant story telling style! Clearly has a pocket full of the Queens shillings , do your research silly Bill . excellent , enjoyable and informative episodes. really enjoyable series, well informed participants given the opportunity to discuss their particular favourite items.